Once upon a time, not so long ago, printers were huge noisy machines, printing rows of grey words and figures on piles of perforated paper in the corners of office blocks. Yes, I realise that probably does reveal my age a bit, but it amazes me how far technology has come in a relatively short time, because I'm not actually that old, but I do remember those days. 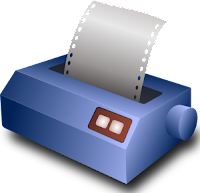 It's funny to think that people printing out their spreadsheets and invoices in the 70's and 80's with that oh-so-familiar noise of the dot matrix forming each character from tiny dots, would never be able to imagine how versatile printers are these days. 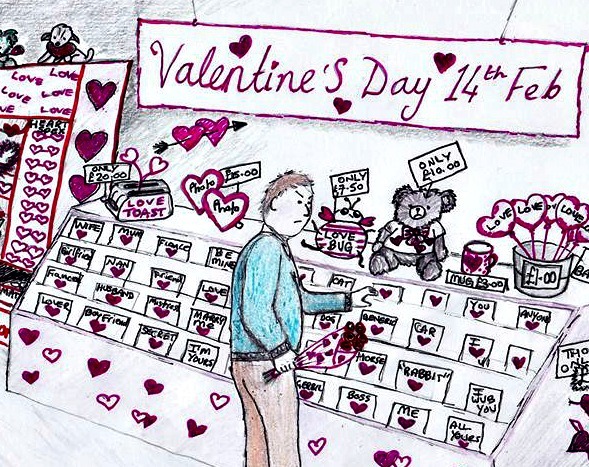 Take Valentine's Day last year, for example. The husband and I have been together for... almost twelve years and one of our favourite pastimes is moaning about what things cost and trying to save money. 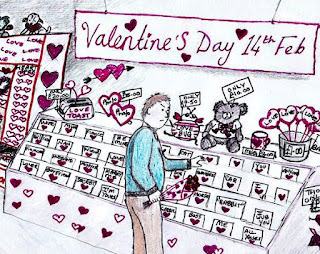 It will probably come as no surprise that we gave up celebrating Valentine's Day years ago, because the prices are pushed up so high, for something as simple as a bunch of flowers, and don't get me started on what a waste of money greetings cards are! Imagine my surprise, then, when it transpired last year that he had had a total personality bypass and randomly decided to buy me a card. Worse, I found this out the day before Valentine's, just has he left for his night shift. With the car. Leaving me at home, four miles from the nearest shop, wondering what the heck had happened! Thank goodness for my printer and an online card company that will sell you the image to print out yourself. If I'd had more time, I would have just made one, but at that short notice, it was a life saver! These days, there always seems to be something that needs printing out, from thank you cards, business cards and letters, to the children's homework and forms for school. It's so much more convenient in a lot of ways, but it does leave me with an element of stress. I can't let the ink run out. With the introduction of bluetooth, we only have one printer in the house, which is very space saving, but it does mean it's all on me if Jade has a deadline at college and I've forgotten to replace the ink cartridge. As it's a long way to the shops too, there's nothing worse than when the low ink light comes on, just as I need to print out something huge and I have to go out specially, or risk running out halfway through. Thankfully though, there is a new service from HP that makes all of this stress a thing of the past. With Instant Ink, eligible printers will automatically order your new cartridges without you having to remember or even drive to a shop. No more homework disasters or missed deadlines. Perfect. Find out more in this handy video. One less stress is definitely something worth looking into! A Sponsored Post in association with HP Printers.